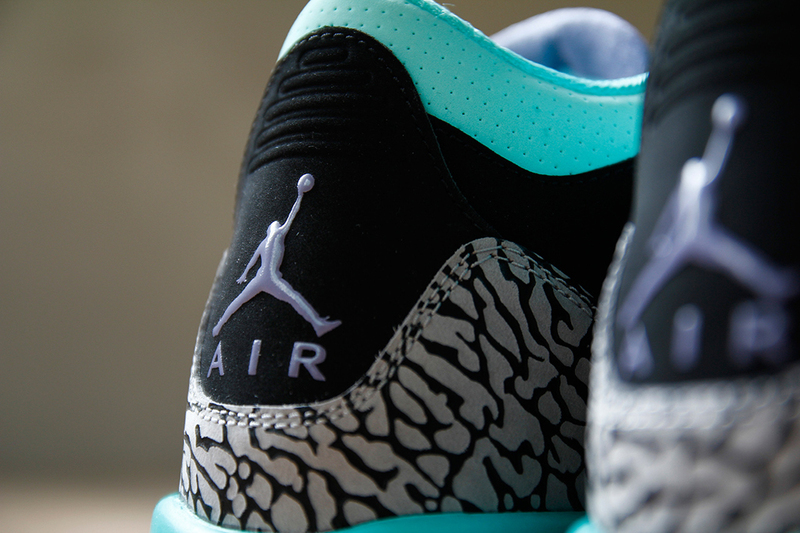 Another kid's exclusive Air Jordan 3 Retro is on its way. This girl's edition comes in a black, iron purple, bleached turquoise and wolf grey colorway. 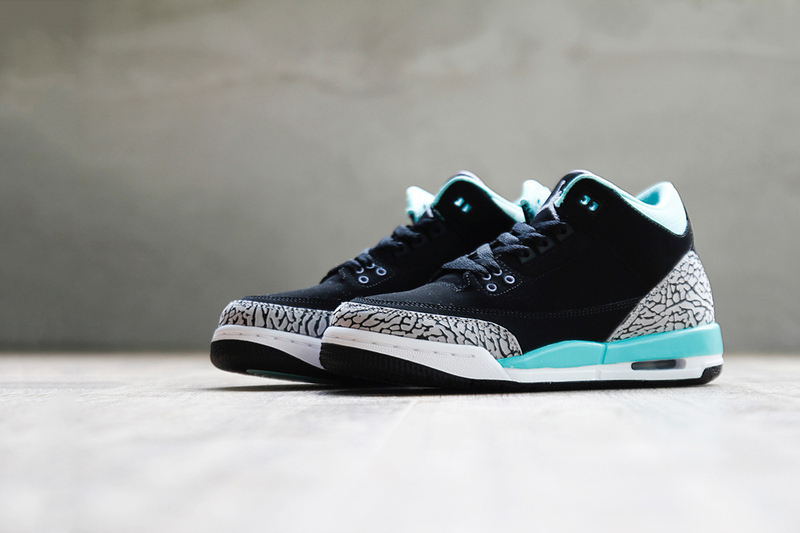 They feature a black-based nubuck upper with elephant print in its usual places. Iron purple hits the Jumpman logo on the tongue, tongue liner and back heel Jumpman logo. 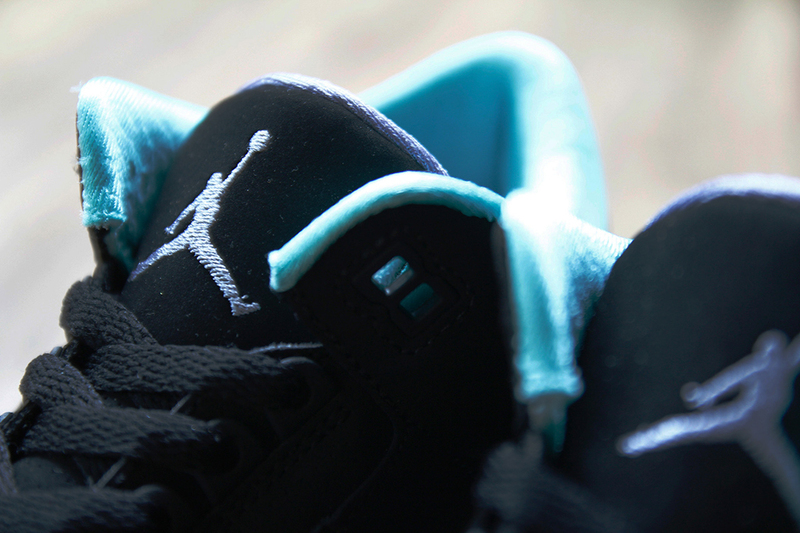 Turquoise blue accents found on the collar, liner, eyelets and midsole complete the look. 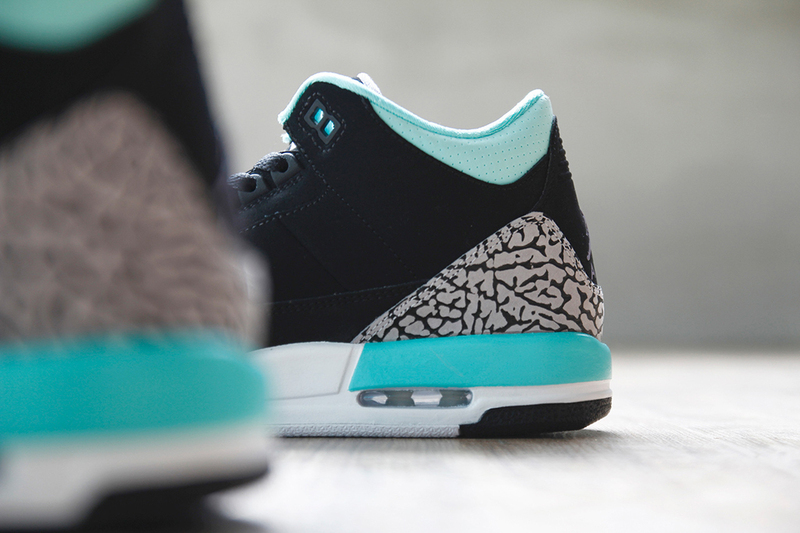 This Girl's Air Jordan 3 Retro GS will hit nike.com as well as select Jordan Brand retailers on Saturday, August 9.